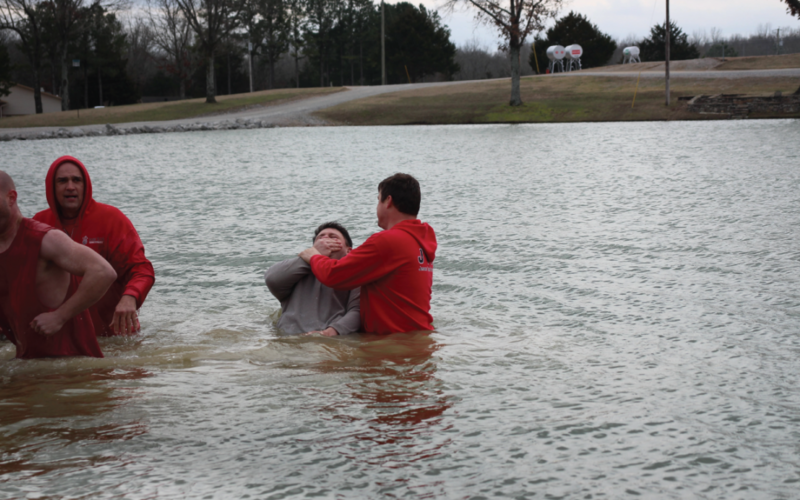 On February 17, 2019 38 residents of John 3:16 Ministries chose to brave the frigid water and gusty winds and be baptized in the name of the Father, the Son, and the Holy Spirit. Baptism is for believers who’ve already been saved. Nothing says that you’re a believer to the world more than getting baptized. It’s a sign and seal of our covenant of grace with God. It’s how we make a commitment to God while other’s look on and also an appeal to God to show him our obedience.Repentance is directly linked to baptism. The families of the men gathered around the water’s edge, snuggled up in blankets and winter coats. One by one, the men announced to the crowd why exactly they were choosing to be baptized. The instructors then waded out into the cold lake and baptized 15 men at a time. It symbolized the death, burial, and resurrection of Christ as well as the old person being buried and the new person being raised in Christ.